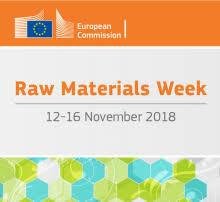 On November 12-16 the EU Raw Materials Week took place in Brussels. This is series of events organised by the European Commission addressing the latest news on raw materials in the EU. This was the first time that this event was dedicated to biotic raw materials (wood). On this occasion, a session entitled “EU Forest-Based Industries 2050” opened the discussion on the status of the wood sector and its outlook towards 2050. The EOS Secretariat was invited to give a presentation on the sectoral information needs, including data gaps and data inconsistencies. While the EOS President Sampsa Auvinen was invited as a panellist to share his views on the future perspectives of the forest-based industries over the next thirty years. Lack of a pan-European database on wooden housing starts. Identify gaps/inconsistencies in databases and general information gaps. Propose actions to address them (Establish firm and regular bases for specialist/new studies, enhanced databases). On occasion of the raw material week the “Guidance on cascading use of biomass with selected good practice examples on woody biomass” was released. The Guidance document states that assuming that cascading is always sustainable can be misleading — its implementation should optimise synergies between the cascading use of biomass and its externalities in each particular case, e.g. in terms of emissions, social harm, environmental damage, loss of biodiversity or other impacts. The Guidance stresses that a resource-efficient use of sustainably mobilised wood calls for a market-based approach. Market forces will normally determine the uses with the highest value. National legislation should not hinder the cross-border trade of primary and secondary raw materials and products derived from these materials. There should be free movement of goods both within and beyond the EU. Overall, the EU Commission “Guidance on Cascading use of biomass with selected good practice examples on wooden biomass” highlights the highly efficient use of wood resources in the sawmill industry. Best practices include wood as building material, ash uses as forest fertilisers, bark for medical ends, just to mention a few. Copy of the “Guidance on Cascading use of biomass with selected good practice examples on wooden biomass" is avialble HERE.